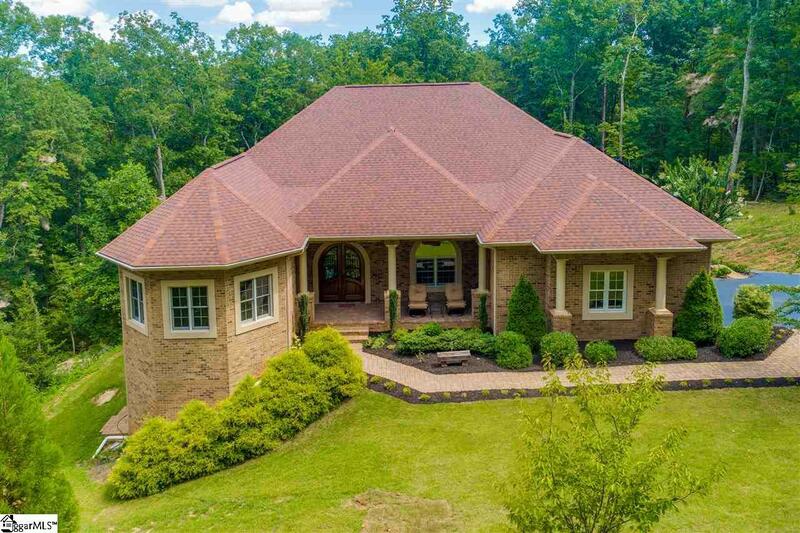 This custom built estate awaits you with stunning details! 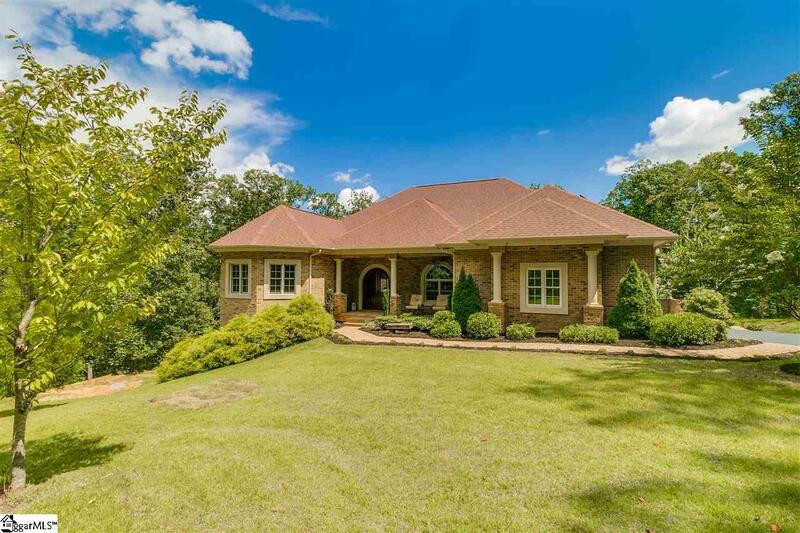 Located on 5.2 acres, this home offers double arched doors, an immense Foyer that boasts beautiful hardwood flooring, heavy crown molding and oversized entrances. The Great room offers a double tray ceiling, a built-in entertainment system, a fireplace with granite surround and a raised hearth. The great room encourages elegant entertaining, accompanied by and directly adjacent to the gourmet kitchen, that offers granite countertops, a travertine backslash, a Wolf stove, and a huge walk- pantry. The floor plan flows to the Formal dining room that offers an open and incredible punctuation for you and your guests. . The living Room overlooks the outdoor living spaces and backyard. 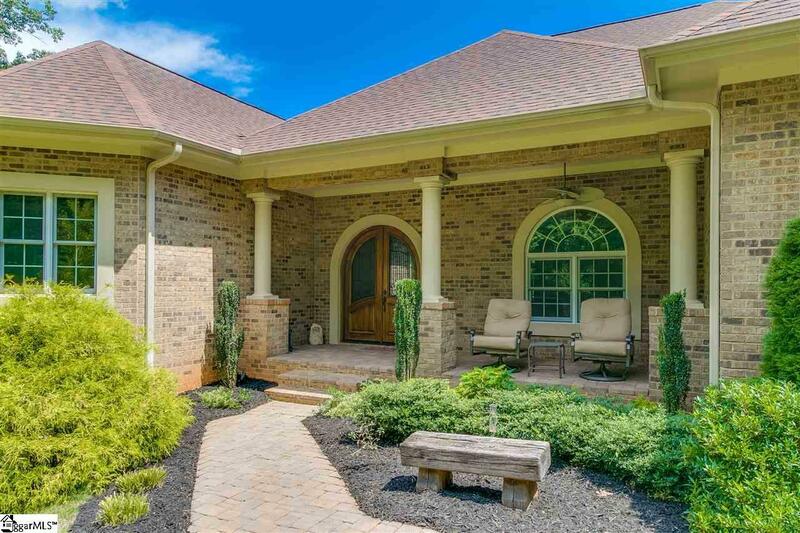 For evening cocktails or morning coffee, you, friends, and/or family will love the beautiful outdoor space, that offers a screen in porch, stone flooring, an outdoor kitchen, with a Wolf built -in barbeque, sink, and a tile backsplash. Off the outdoor kitchen is a beautiful stairway that leads you to the plentiful backyard and wooded area. The main level bedrooms are arranged in such a manner which allows maximum privacy. The master suite aesthetically articulates the beauty of this custom built home, with a double tray ceiling, his & her walk-in closets, granite vanities, oversized garden tub, and a custom walk-in shower. Both of the spacious secondary bedrooms include tons of closet space and share a centrally located hall bath thats also equipped with a walk-in shower and a granite vanity. The privately accessed terrace level has been finished with the same pristine quality as the upper level. This allows uses for a true, mother-in-law suite or a residence for a long term guest. It offers a full Kitchen with granite countertops, large Great Room, abundant Master Suite, one additional bedroom, and an Office/Flex Room. There is an enclosed passage that has been framed that could allow for access to the terrace level from the upper level of the home. A second screened porch and a covered composite deck can be found off of the terrace level that leads to the Jacuzzi tub. 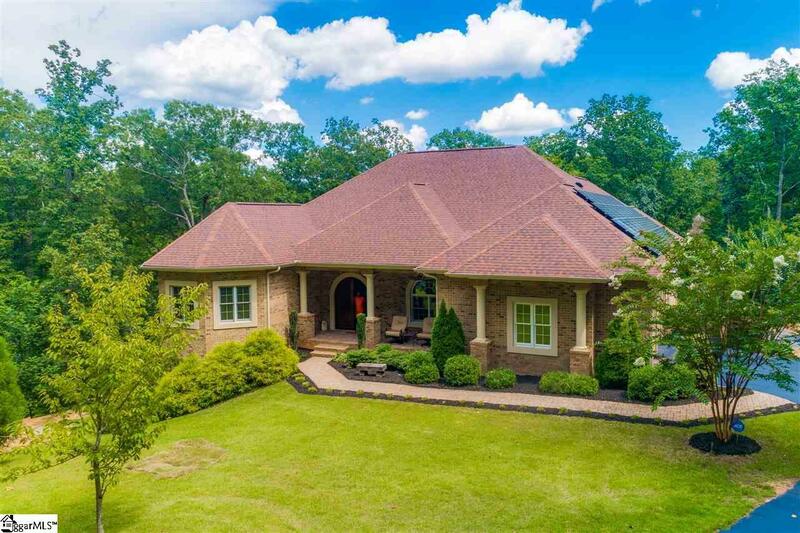 This estate comes equipped with a tornado shelter, a workshop, with a built in work bench, side entry garages for both levels, a covered front porch, brick exterior, a sprinkler system, and recently installed solar panels. If square footage is important, have buyer verify.